The cookbook is miette: recipes from san francisco's most charming pastry shop. It's amazing and totally worth purchasing if you were thinking about it. It has beautiful photography and delicious sounding recipes. I want to make them all, and hopefully eventually I will. I have a huge collection of cookbooks that I love and make an effort to bake from because of course it's so easy now to use the internet to find a recipe with the ingredients you want to use. This recipe only makes 10 cookies so feel free to double it if you would like. As you know I try to make small batches of desserts simply because I make something different almost everyday and if I make 3 dozen cookies everyday then wow...that's a lot of cookies. I have included the weights in this recipe as well as the traditional measurements. I prefer to weigh ingredients when I can because it gives you more accurate results. This post is also linked to from Sweet As Sugar's Sweets for a Saturday. Happy Baking! 1. Sift together the flours, salt, and ⅛ - ¼ teaspoon cinnamon into a small bowl, set aside. 2. In a bowl of a stand mixer using a paddle, combine the butter, brown sugar, honey, and beat until fluffy, about 5 minutes. 3. Add the dry ingredients to the butter mixture in two additions, beating until just combined after each addition. Wrap the dough tightly with plastic wrap and refrigerate for at last 30 minutes before rolling (up to 2 days). 4. Preheat the oven to 350F. Line a baking sheet with parchment or use a Silpat. 5. Unwrap the dough and place it between two sheets of waxed paper. Roll out to a thickness of about ¼”. Using a 3 ¼” round cookie cutter with a scalloped edge, cut out the graham crackers. 6. Arrange on a prepared baking sheet, placing the cookies about ½” apart. Reroll scraps and cut out to make more cookies. 7. 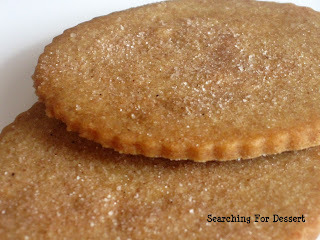 Mix together the 1 teaspoon of granulated sugar and ⅛ teaspoon cinnamon. Brush the cookies lightly with water. Sprinkle cinnamon-sugar mixture evenly over cookies. 8. Bake about 10-12 minutes or until golden brown. Transfer to a wire rack to cool completely. Store in an airtight container for up to two weeks. 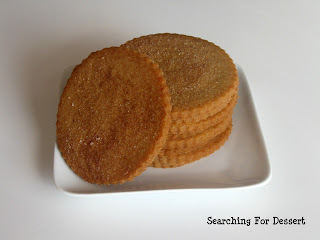 I've been planning to make my own graham crackers for the longest time, and I never get around to it. Thanks for the inspiration! For sure we are going to have to try these. Thanks everyone for your nice comments. 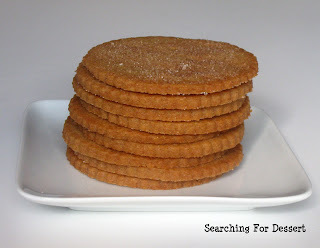 I'm so glad you all came by and like the graham crackers :) They're really easy to make and are very versatile. I'll check out your site Carolina HeartStrings.